Hello, I've aquired what I think is a Benford Pedestrian roller. It starts and runs fine (bit noisy with no exhaust!!!) but loses drive. I think it's sheared the rubber drive bobbins on the driven side of the drum. Does anyone know if this is a common fault and if so whats invovlved in fixing them? Any help identifying the model would be a hugely appreciated too! Looks like you've got yourself a Benford MBR71 with a Lister LT 1 engine (mind your wrist). 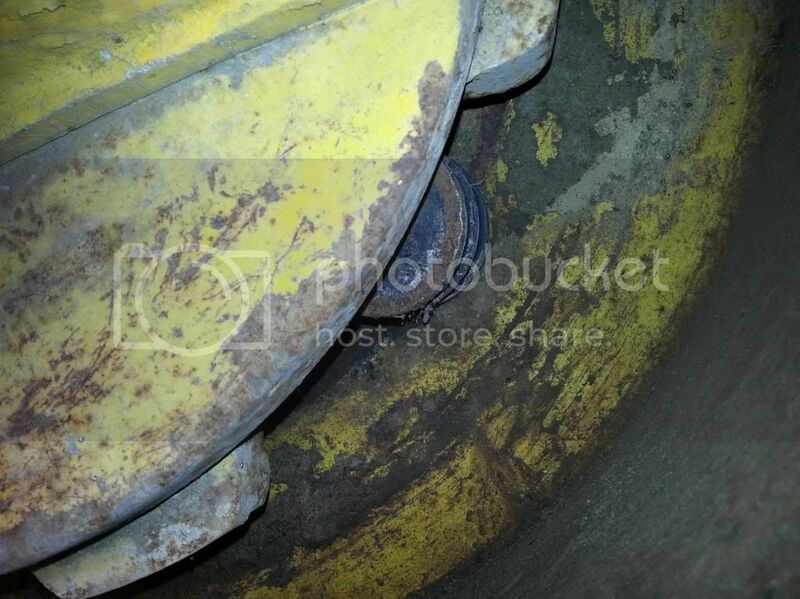 From first glance it looks like your drive rubbers have failed behind the chain drive casing.....it also looks like the the rubbers on the opposite side have already been replaced ( the easy side). So i would start there to find your drive fault. Sorry but from my really poor memory i think you will have to do a fairly large strip down to get to these, by removing the opposite side to the drive chain side (left hand side) and then pulling the drum away from the drive chain case. 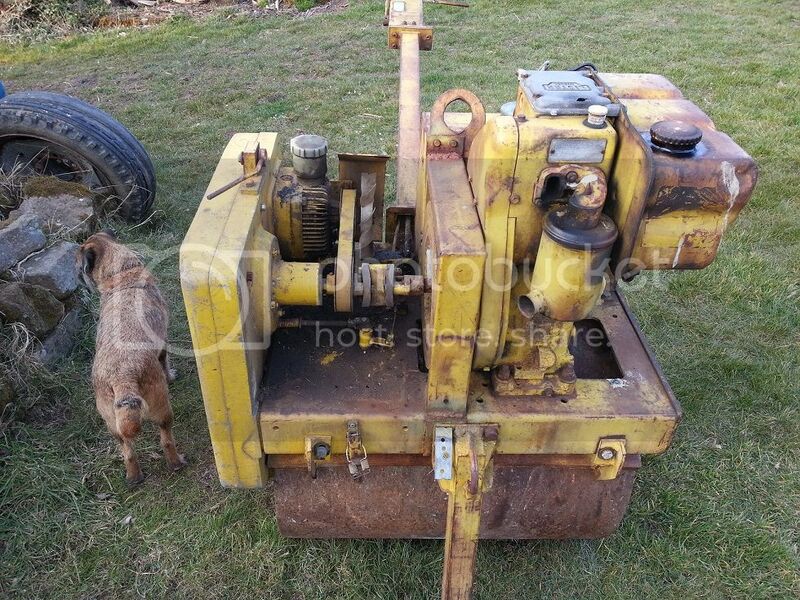 Heres a link to one supplier so you know what you need and the rough prices.http://www.lsengineers.co.uk/small-plant-spares/heavy-plant-spares/bomag-benford-spares.html These parts are still readily available because this roller a similar roller is still produced under the Terex name with an electric start. There are many other suppliers if you give it a google, as this is a common fault. Excellent, thanks very much for the info guys! 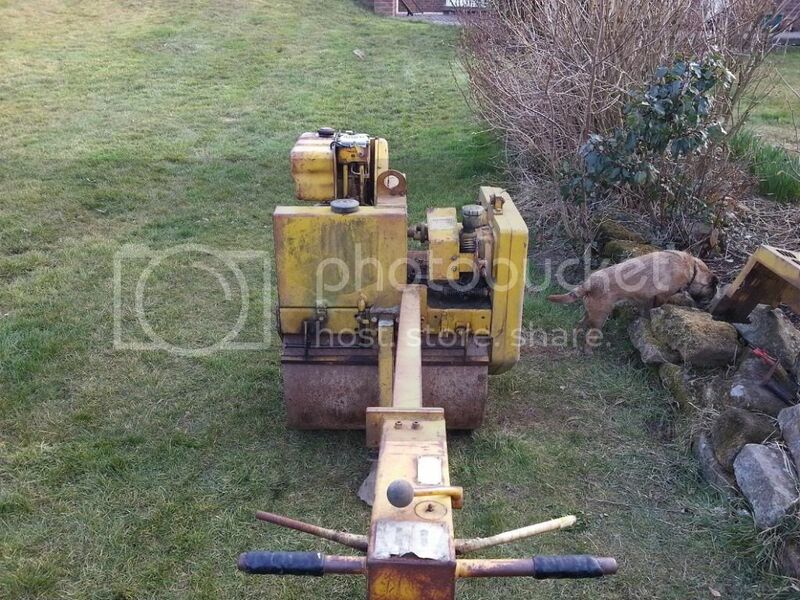 I've got the outer engine casing but removed it for the photos if thats the thing in the top picture near the hound. It has what appears to be quite a large ID plate on it but none of the data is legible. She actually starts really well, the tricky bit is flicking the decompressor shut whilst still cranking but she fires immeadiately when warm and doesn't take much cranking from cold unless it's below zero. I'll have a shufty on that site you mentioned Richard and price up some bits before we start ripping it to bits. Once we start I'll post some pics and info in case it's usefull for anyone else. Hi not been on here for a while but just acquired a "new" piece of kit. Very similar to the above, main differences, water tank is part of the right hand cover and starting handle goes into a casting with a sleeve. Also has the same dent in the diesel tank!!. Everything seems to work OK except intermittently when on load the engine will race away and chuck out clouds of grey/black smoke then after a few seconds returns to normal. and suggestions appreciated. Also it has a breaker with it works but not much power, dosen't seem to put much load onto the engine when working. 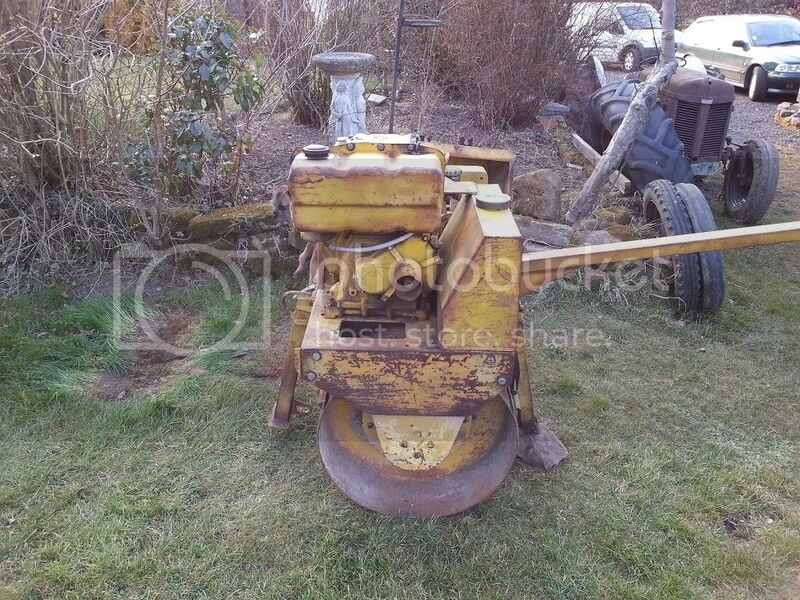 JCB 3D3, Benford 1ton Dumper, Benford Pedestrian Roller.